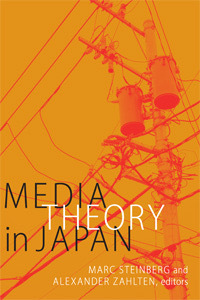 I have a piece out in new anthology from Duke entitled Media Theory in Japan. It is edited by Alex Zahlten of Harvard and Marc Sternberg of Concordia, and is based in an intense workshop that took place at Harvard in November 2013. Their project parallels mine: if I have been endeavoring to bring to light the history of film theory in Japan, they have been doing the same for media theory. One sign that the two intersect is the fact that they chose one of the pieces I selected for the “Decentering Theory” special issue to include in their anthology: Kitada Akihiro great essay on Nakai Masakazu’s theory of media. The Duke anthology includes essays by Yuriko Furuhata, Takeshi Kadobayashi, Marilyn Ivy, Miryam Sas, Tomiko Yoda, Ryoko Misono (sadly, a posthumous contribution), Anne McKnight, Fabian Schäfer, Keisuke Kitano, and Tom Looser on such topics as the Tange Lab, Azuma Hiroki, McLuhan in Japan, Nancy Seki, Rokudenashiko, Kobayashi Hideo, and the Kyoto School. My contribution was placed at the beginning, in part because it questions the concept of new media through a historical analysis of some early theories of television in Japan. If, as Lev Manovich as argued, new media often repeat older media, my essay considers how new media theory can repeat that of older media. 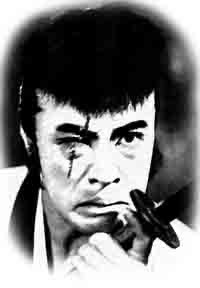 Focusing on one of the groundbreaking moments in development of television theory in Japan—the 1958 issue of Shisō devoted to the new medium—and in particular the ideas of its central figure, the sociologist Shimizu Ikutarō, I note how claims about television’s unique relation to the everyday forgot similar claims about cinema’s relation to the mundane made decades before by Gonda Yasunosuke and others. I argue that such forgetting functioned in part to repress the historical politics of the everyday, or more specifically, the history of media’s relationship with the everyday. In the end, the debate over the everyday was not just about which media was closer to the everyday or what constituted the mediated everyday, but also about the relation of theory to the everyday—the everydayness of theory.